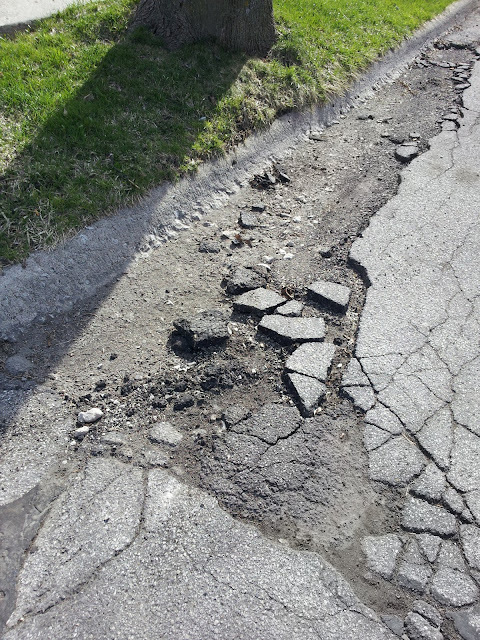 Some towns, even prior to Walker's proposed $4.3 million cut to local road aids, are letting their disintegrating, pothole-damaged roads go back to gravel - - just like were in the '30's. Hat tip to Democurmedgeon, via Blue Cheddar - - which is code for blogger allies you really need to be reading. Walker wants to cut $4.3 million from local road aids - - but keep most of the new highway money intact - - while the roads we have are literally falling apart. Since the heritage Janesville Bur Oak pictured below is to be cut down for highway expansion, and is said to be too expensive to move, why doesn't WisDOT - - with an assist from the DNR - - engage in a Bur Oak restoration program to remediate the loss and make a statement both symbolic and substantive about the importance of the Wisconsin environment, too? The tree is 150 years old, so how about a 150-Bur Oak replanting in the area and statewide? Private nurseries sell the trees. Local governments grow them. The DNR operates nurseries and Bur Oaks are available, according to the online DNR catalog. The costs would be minimal, and the public benefits immeasurable. I'll bet citizens or business would kick in. I'm good for the first $100. Can't we get a little creative here? The State of Wisconsin has a website dedicated to job openings at other units of Wisconsin government, but the current list dates to last December and totals just 17 openings. I wonder what the state does to get the listings? Not content with killing Amtrak service to Madison and train-assembling jobs at Talgo in Milwaukee, Scott Walker now wants to bleed $1.1 million from one of the most successful Amtrak lines in recent history to help close (with some road project delays) a looming road-building deficit, the Journal Sentinel reports. 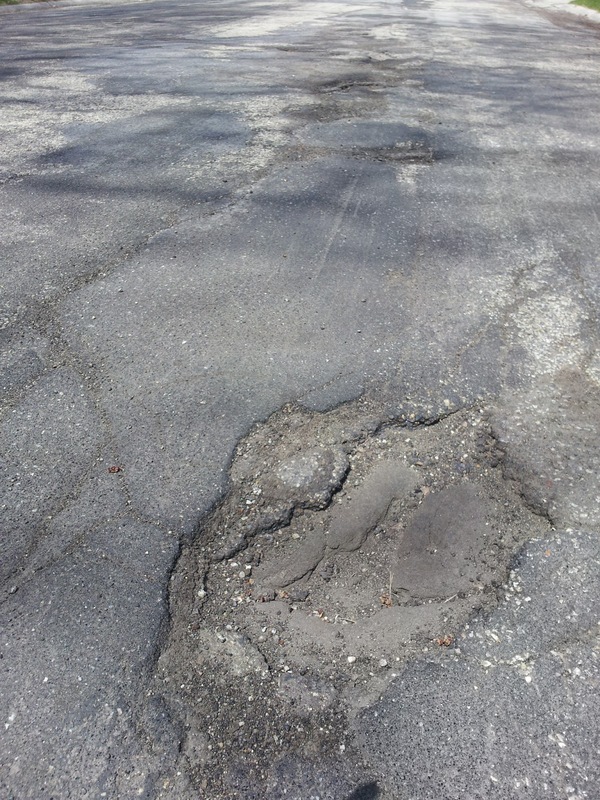 And cut another $4.3 million from local road aids, so enjoy the potholes, because more of them will only get bigger. Furthermore, if I read p. 460 of the Walker budget correctly, the plan was to remove all federal transportation funding from the Amtrak line because state funding would cover it. Reduce funding by $4,488,700 annually to eliminate base funding in the FED appropriation for passenger rail service. The Department indicates that the base SEG funding of $7,198,800 for passenger rail service is sufficient to fund anticipated costs for contracting with Amtrak for the state's share of the Hiawatha service between Chicago and Milwaukee in the 2013-15 biennium. We'll see if The Metropolitan Milwaukee Association of Commerce, with plenty of members' employees who commute on The Hiawatha daily trains to Chicago, can turn around this brain-dead 'budgeting' and get anything out of business community's campaign investments to the Walker machine. Wisconsin partners in a contract with Illinois to keep The Hiawatha operating, but Illinois is learning that Wisconsin is not open to partnership. Instead, it defers to the EPA. Weak for the week. "It's Air Quality Awareness Week! The quality of the air is important to both human health and the environment. EPA offers information on air pollutants, air quality and human health and tips for improving air quality." The Clean Air Tip of the Week has been updated. Please log on to http://dnr.wi.gov/topic/AirQuality/ItAllAddsUp.html, to view this and other tips. Conservation is also good politics. All polls show that a large majority of Americans, including hunters and anglers, are pro-conservation. The GOP shouldn’t let short-sighted accountants drive the bus. Wisconsin Gov. Scott Walker's refusal to accept federal health care funding because it comes as Obamacare dollars is about to cost the state a fortune. Not to mention disrupting the lives of thousands of low-income Wisconsin residents whose lives are tough enough already. According to a Feb. 15 Legislative Fiscal Bureau memo, accepting the federal money would save the state more than $100 million in the 2013-2015 budget and nearly $550 million in general purpose revenue through 2020. But changing his mind? And conceding that there's something of merit out of the Obama administration? That's not how an ideologue with his eye on the 2016 GOP presidential nomination and his hand in far-right campaign treasuries makes decisions. An editorial in the La Crosse Tribune explains all the policy and people reasons why Gov. Walker should take additional federal funding available under Obamacare to expand Medicaid in Wisconsin. Problem is, this is Scott Walker we're talking about - - a 100% partisan and strategy obsessive who will see the decision as he did with the federally-funded Amtrak expansion: a self-interested method of dissing public services and distancing himself from President Obama. In other words, as a political opportunity to cozy up to the right fringe that listens to talk radio, votes in primaries and likes its party tea as strong as possible. How much evidence of Scott Walker's environmental hostility (he told us the DNR would be run with a "chamber-of-commerce mentality") can you stomach? DNR lets environmental enforcement slide. Little Plover River/threatened trout stream on national endangered list. Septic waste spreading violations got insiders' slap on the wrist. A farm well goes dry near sand mine. Continuing coal-ash pollution of Lake Michigan supported. Less local conservation effort funded in proposed state budgeted. Frac sand spill pollutes river. New mining bill erases water preservation law statewide. As the head of federal transit policy-making, the rail-friendly Mayor of Charlotte, NC could be a benefit to City of Milwaukee. Calling this a case of mixed signals would be too charitable, given that the Walker administration's march against the Wisconsin environment continues unabated and he told us the DNR would be run with "a chamber-of-commerce mentality"). Triple threat State Senator, noted herpetologist, and mining handyman Glenn Grothman, (R-West Bend), has convinced Republicans (a hard sell, for sure!) on the Joint Finance Committee to cut 32 positions from the DNR. Grothman said the jobs have been open for at least a year. In an interview, Moroney predicted more aggressive enforcement by the DNR in the future as vacancies are filled. "Big picture: Once we get fully staffed, I think you are going to see the number increase," he said. Honor and film it - - here - - rather than cut it down. 1. There will be a Town of Waukesha public meeting Monday night to sort out the on-again, off-again Town inclusion in the City's Great Lakes diversion application - - which all began when SEWRPC put the Town in line for diverted water without consulting the Town or notifying the public. So - - another meeting, another decision, more redundancy, but a good idea. The letter is from the Waukesha City Administrator, and while we all make mistakes and I've been known to be a spell check failure myself, the letter at the bottom misspells the first or last name of the SEWRPC Executive Director, a DNR water official, the City of Waukesha water utility general manager and the City Administrator himself. On October 16th the City of Waukesha (“City”) submitted a formal response to your September 18, 2012 proposal concerning the Waukesha Water Service Planning Area. Subsequent to receiving the City’s October 16th letter, a meeting with then Town Chairman Van Scyoc and Town Supervisor Banske was held to discuss the City’s response. Through the discussion, we understand the concerns of the Town are related to the Town’s potential loss of revenue as a result of annexations and the desire to preserve the water and water related resources to its residents. This letter is a follow up to our meeting with Town representatives on April 13, 2013 and supersedes and replaces any of the City’s previous letters, which are now null and void. The terms set forth in this document are only valid if the Town of Waukesha approval of the Water Supply Service Area Plan is consistent with the “Planning area” as defined by SEWRPC in their letter dated December 23, 2008; and once the City of Waukesha receives all necessary approvals for a supply of Great Lakes water. In addition, this offer requires action by the Town Board no later than April 30, 2013. If the offer is not accepted by April 30, 2013, the City will move forward with the area previously approved by the Town Board at its January 24, 2013 meeting and reaffirmed at its February 8, 2013 meeting. If the City is not successful with its Application, the Town’s approval of the Water Supply Service Area Plan and the conditions outlined in this letter are null and void. 1. With regard to the joint consideration of petitions for annexations from territory within the Town of Waukesha to the City of Waukesha, the City will follow Wisconsin State law. The law provides a formal process by which property owners and electors may petition the City for annexation. The City agrees that the Town of Waukesha may represent its position to the City for consideration. This position will be considered by the Common Council when a request is made. 2. With regard to annexations, the City of Waukesha will agree to compensate the Town of Waukesha for twenty (20) years at the Town’s mil rate for the value of the property at the time the annexation is approved by the City. This would be effective once the City receives all of the necessary approvals for its Application for Great Lakes Water and begins receiving Great Lakes Water. 3. The City of Waukesha is in agreement that neither the Town of Waukesha, nor any of the property owners of the Town of Waukesha who are in the “Water Service Planning Area”, and who are not presently “customers” of the Waukesha Water Utility, will be assessed any charge(s)/cost(s) until and unless they are “connected” to the municipal water system which will provide water from Lake Michigan by their request and upon approval by the City. 4. The City of Waukesha is in agreement that the Town of Waukesha may review the Letter of Intent and the contract between the City of Waukesha and the Lake Michigan Water Supplier, to be provided to the Town of Waukesha, as soon as available (which has already been done). 5. 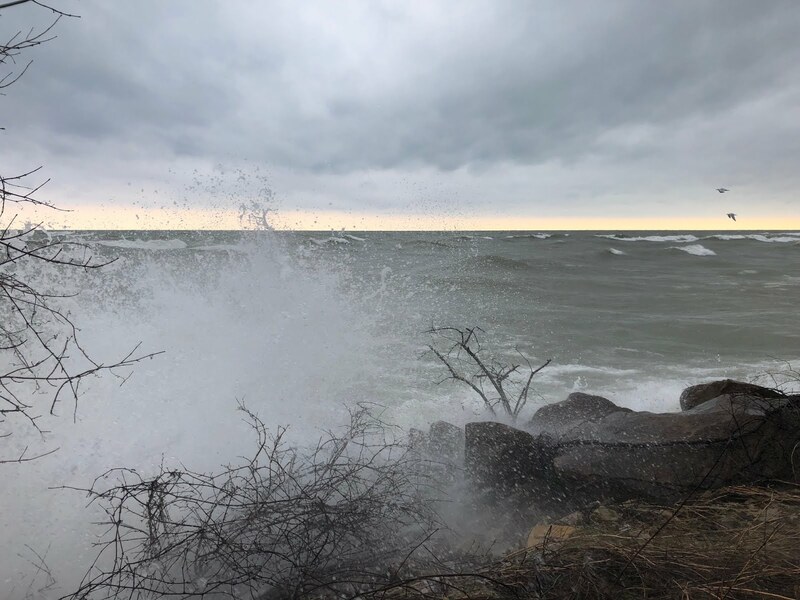 The City of Waukesha is in agreement that the Town of Waukesha will not be encumbered or bound by any economic/social, development requirements of the Lake Michigan Water Supplier. 6. The City of Waukesha is in agreement that the Town of Waukesha will be able to choose between purchasing Great Lakes Water from the City of Waukesha either on a wholesale or retail basis or combination of both. However, individual properties that receive water service will be provided water service on a retail basis. The purchase of water by the Town or owners of individual properties will require the approval of the Common Council when a specific request for water is made. 7. The City of Waukesha is in agreement that the City of Waukesha shall confirm, in writing, the amount of water that will be allocated to the residents of the Town of Waukesha (as it is presently constituted). The amount of water so allocated shall be reserved strictly for use by the residents of the Town of Waukesha (as it is presently constituted) with the approval of the Common Council. Water allocation will be proportionately reduced if the boundaries of the Town of Waukesha are modified. 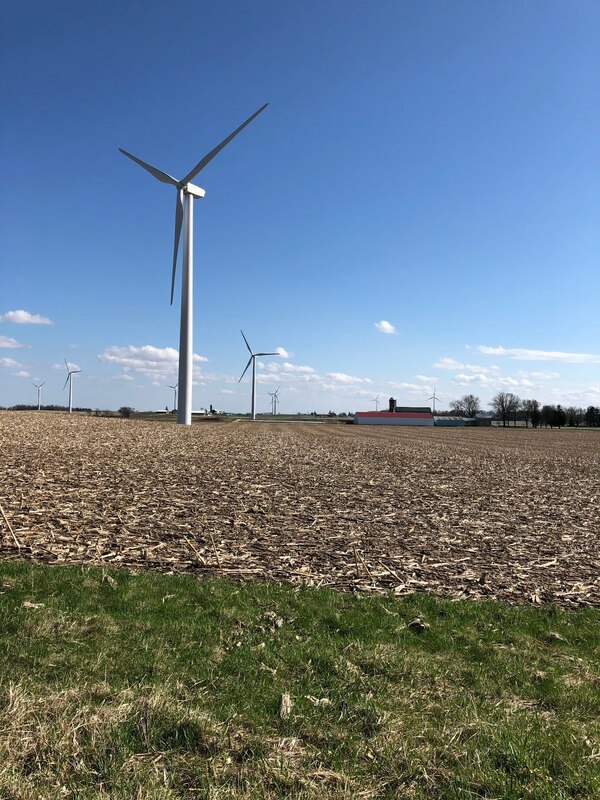 We appreciate the spirit of intergovernmental cooperation the Town of Waukesha has exhibited through this process. The City understands the Town’s concern about its ability to continue to provide effective services to its residents in light of lost assessed value resulting from annexations. 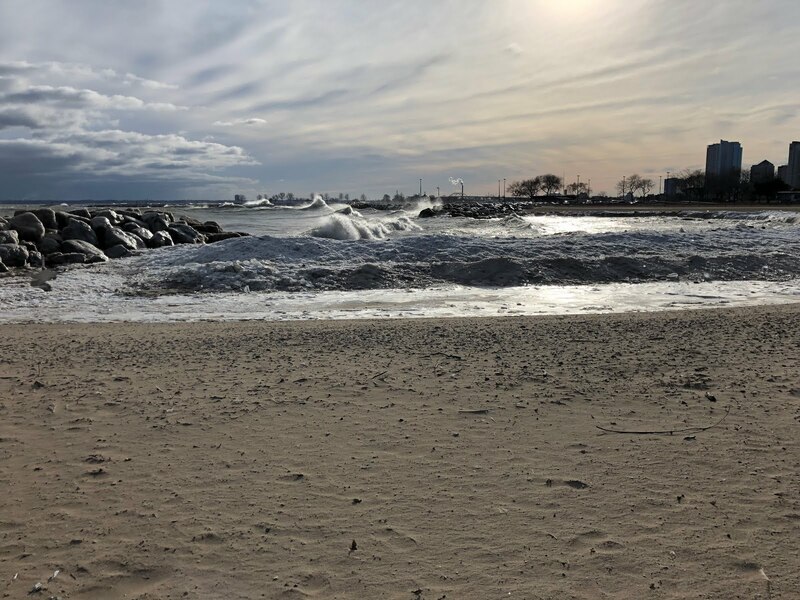 In addition to the twenty year revenue sharing offered above, the City would also propose entering into negotiations with the Town to provide certain services to the Town on a cost effective basis. Such services may include, but are not necessarily limited to: snow plowing, fire.EMS service, inspection service and other mutually beneficial services. Could today - - Arbor Day in Wisconsin - - be more absurd? This effort is one of the few conservation issues being considered by the JFC; one call can have an impact. Some day this spring, people with saws will come to slash the mighty trunk. They will fell the tree to make room for the highway expansion north of Milton to Fort Atkinson. The trunk measures 13 feet around and supports a stack of stretching limbs...with its wide-open crown and elegant symmetry of branches, is about as perfect a tree as nature ever made. This tree might have tickled the bellies of Ho-Chunk horses. This tree somehow survived the ax and dodged the farmer's plow time and time again. 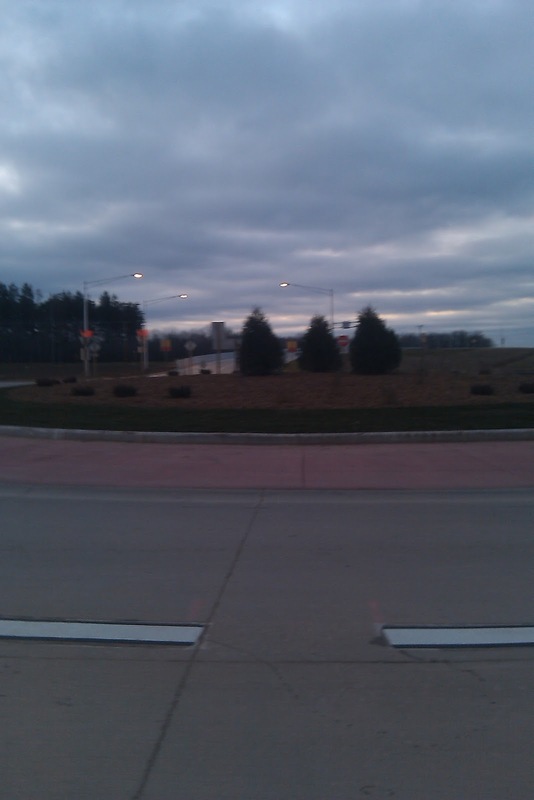 But this is the Wisconsin of Walker and the road-builders, so kiss this living piece of state heritage good-bye. We do have our priorities around here. "Bur oak or mossycup oak is one of the most majestic of the native North American oaks." Not much news was produced at the Milwaukee Press Club's water policy panel discussion "Lake Michigan: Whose Water is it? An In-Depth Look at the State’s Water Economy." The press club's Thursday public luncheon was held at the Lake Michigan headquarters of Lake Express ferry at the Milwaukee Harbor. But I thought it worth noting for the record that panelist Paul Jones, the executive board chairman at A. O Smith Corp. and co-chair of the Milwaukee-based Water Council, said he thought Chicago's daily water draw from the Great Lakes - - a major diversion that is not returned to Lake Michigan because of the reversal of the Chicago River many years ago - - was the greatest water challenge facing the region. The Water Council recently dropped "Milwaukee" from its name as it emphasized the group's world-wide focus. Jones said he thought the flow of the river should be reversed and there should be "a lot more noise made" about it. The Chicago diversion has been upheld by the US Supreme Court. 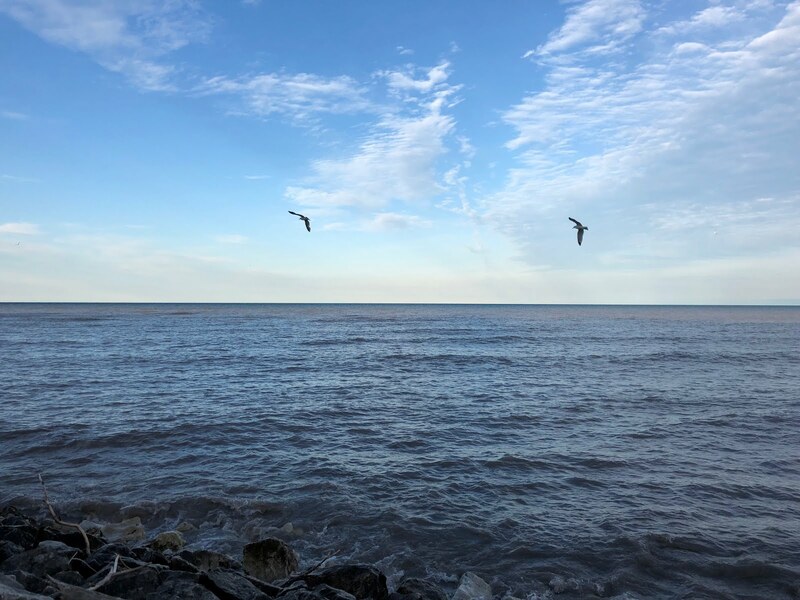 No doubt, given the expenses of reversing the flow of the river and adding requisite treatment facilities to keep Lake Michigan clean, Jones' statement would greeted in Northern Illinois with a different kind of "noise." The only other thing that grabbed my attention at the luncheon was that Waukesha anticipated spending $1 million a week on its diversion project, said pressclug event panelist Dan Duchniak, Waukesha's water utility general manager. 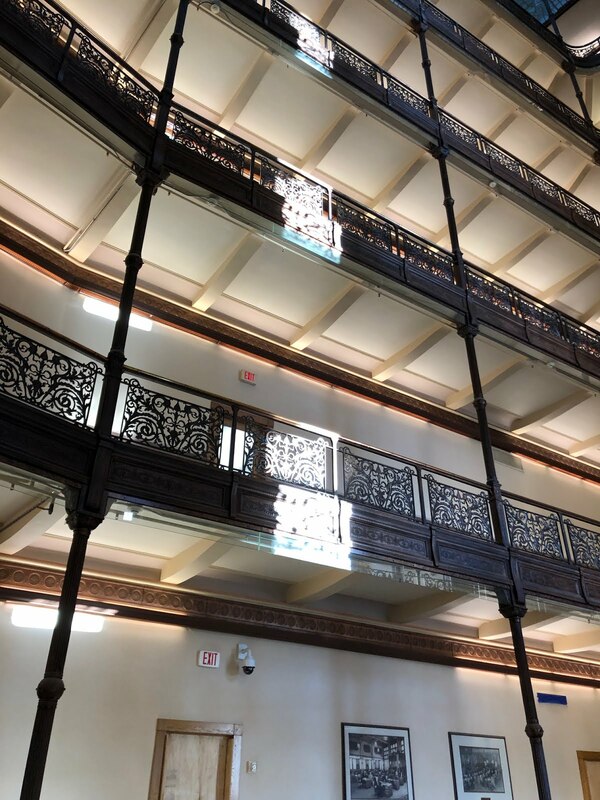 That's why that city's water rates will at least double over the next few years and why federal funding is being pursued, along with bonding and other revenues to pay for the project, Duchniak said. Both Duchniak and press club luncheon panelist Eric Ebersberger, a DNR water official, agreed that the agency was carrying out a thorough review of Waukesha's diversion application - - the first under an eight-state, two-Canadian province Great Lakes water management Compact that was approved in 2008. Waukesha is under a court order to provide a new water supply by June 30, 2018 - - a deadline that looks unattainable. Sykes Calls Wisconsin State Journal Editorialists "Lick-Spittles"
Talk radio keeps the debate civil at about 10:45 a.m in the middle of an attack on the UW system and those who would support it. Walker's DNR wants to unwind a 12-year-old, all-stakeholders' consensus agreement for so-called low-impact recreation activities on land making up the now-closed Badger Ammo complex near Baraboo. At an agency now directed by a "chamber of commerce mentality," why a) honor past agreements focused on conservation, and, b) listen to the will of the people expressed through negotiations and comment periods when, for example, the ATV lobby wants more land over which to gun their machines? Why not turn over that area for the full Walker Monty? How about more DNR shooting ranges (like one proposed at a DNR-run nature center frequented by school kids), and dog training runs for the wolf hunt. Surely there is some timber to cut, land to lease to developers, and maybe some iron ore to excavate. And there will be more water-for-growth annexations to the City following the Town of Waukesha's election of a pro-diversion Town chairman. Every annexation brings tax base and other benefits to the City. End the S.S. Badger's Decades of Polluting Lake Michigan! The S.S. Badger dumps almost four tons of coal ash into Lake Michigan each and every day it operates. 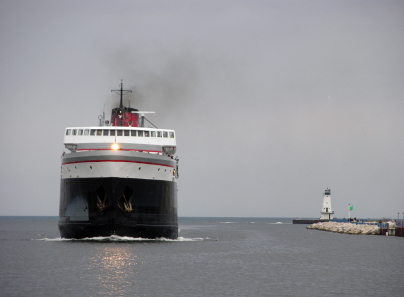 The car ferry crosses Lake Michigan between Manitowoc, Wisconsin and Ludington, Michigan for five months out of the year and has been polluting Lake Michigan for decades. We don't allow residents to dump their garbage cans into Lake Michigan and we shouldn't allow the S.S. Badger to dump their coal ash into the Lake either. 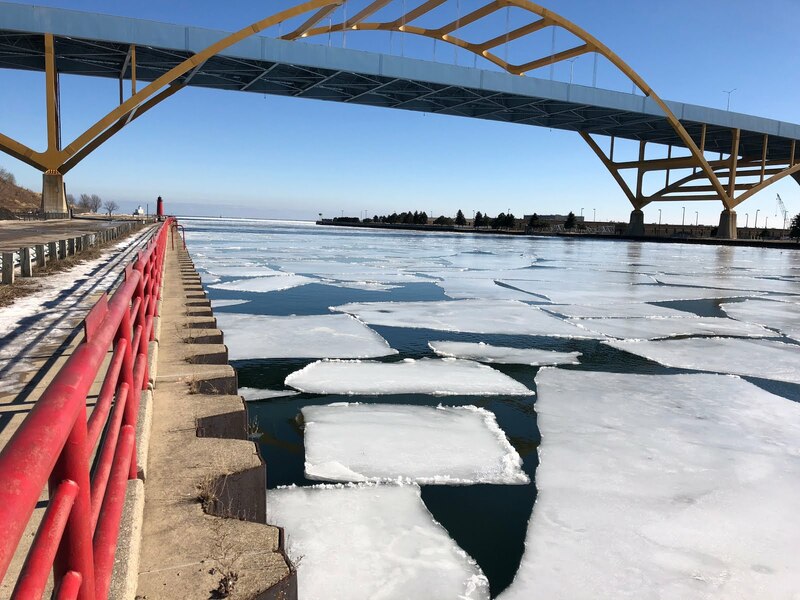 The U.S. Department of Justice (DOJ) and the U.S. Environmental Protection Agency (EPA) can put an end to this abuse of one of our Great Lakes. Tell the DOJ and EPA to step up controls to end the S.S. Badger's pollution of Lake Michigan! Some legislators are having a political field day with the 'discovery' that the UW system accumulates unspent funds in hundreds, perhaps thousands of accounts across its multi-campus system. State Representative and former budget committee co-chair Robin Vos, (R-Burlington), has even used the brouhaha to reprise his anger at the UW-Madison's cancellation of some classes when Pres. Barack Obama spoke at a pre-election rally, so let's chalk up some of the legislative outrage to routine partisan gamesmanship and the continuation of the battle between the two ends of State Street over budgetary supremacy that has raged since time immemorial. Also, the Department of Tourism would get a boost by keeping $1 million in unspent money and receiving $200,000 over two years for marketing to attract tourists from other countries. A grant program to attract conventions would receive $150,000 over two years. When I See "Private Equity Firm" And "Paper Mills..."
...I imagine plant closings, consolidations and layoffs ahead. Details about where paper-making in Wisconsin is headed, here. A New York private equity firm plans to acquire paper mills in Kaukauna and De Pere, doubling the number of mills in Wisconsin that the firm plans to buy and creating the biggest supplier of packaging and specialty paper in North America. Earlier post about paper-making jobs going away in Wisconsin, here. On Friday, the same investors who closed the paper mill announced two more plant closings in Wisconsin - - ending more than a century of paper-making by Wausau Paper Corp - - and another in Minnesota. Tuesday was the wrong day for State Senator, Joint Finance Committee co-chair and UW budget disregarder Alberta Darling, (R-River Hills) to accuse anyone of "revisionist history." Walker made the jobs claim Tuesday at a gathering of Wisconsin businessmen. He said he would create the jobs through six steps, which include lowering or freezing a range of taxes and limiting state regulations. He declined to offer specifics, saying those details would emerge during the campaign. Walker's primary opponent, former U.S. Rep. Mark Neumann, also released a statement Wednesday ridiculing Walker's claim. Neumann quoted statistics that suggest Milwaukee has one of the nation's worst records of retaining jobs. "If Scott Walker had a plan to bring jobs to Wisconsin he should have implemented it in Milwaukee sometime during the last eight years," Neumann said. PolitiFact Posting Links To Walker Release "Not Found"
PolitiFact Monday updated the modest progress that Gov. Walker is making on meeting his 250,000 new jobs/10,000 new businesses pledge. ...the tally stands at an increase of 65,400 private sector jobs since Walker took office in January 2011. The [Sic] means he has 184,400 jobs to add in the remaining 21 months of his term -- an average of 8,780 per month -- to meet his promise. OK: But when I went to close the loop by clicking on the highlighted campaign news release source, up comes this message: "Not Found, Error 404"
I tried it several times. Maybe it works for you. Maybe it's there somewhere, but I don't see it. And the pledges Walker featured in his 2010 campaign and repeated in his 2011 recall campaign with the specific job and business creation numbers he put into Wisconsin political lore also do not appear in an issue item I did open - - "Putting Wisconsin Back To Work." People are frustrated and uncertain about the future – and with good reason. Before I took office, Wisconsin lost more than 150,000 jobs between 2008 and 2010. Yet, far too many politicians seem intent on offering more of the same tired tax and spend plans that increase bloated bureaucratic red-tape and make it even harder to create jobs. "I want my Cabinet secretaries to have branded across their heads, '250,000 jobs,'" Walker said at a December 2010 meeting of the Dairy Business Association. "I want them to know their job is on the line because my job is on the line to create 250,000 jobs in the private sector." Well, Walker's not touting that bit of fancy much these days, as the goal is unattainable. Creating jobs is about more than just a campaign promise. Governor Walker remains committed to helping Wisconsin’s private sector create 250,000 jobs by 2015. Not quite ""my job is on the line to create 250,000 jobs in the private sector...."
Let us review the history of our Governor's business predictions. * Of course, there is 250,000 new-jobs/10,000 new-businesses' creation pledge - - with the jobs pledge homogenized to a mere facilitator's line in Walker's campaign bio - - that looks as unattainable as it was politically suicidal when he made it in 2010 and again the following year. Wisconsin Governor Scott Walker Sees State's Business With China "Taking Off"
...Walker, expressing confidence that commerce between China and his state would increase quickly in the future. “I just see it taking off,” he said. Could any legislators have voted on the UW budgets? Speaking of legislators...Maybe Scott Fitzgerald, Senate leader and budget reviewer for years, could order up a warrant for Jim Doyle. It has to be his fault. In almost no large metropolitan area is there a greater difference in black and white income. In few if any large metro areas is poverty as highly concentrated within the major city - 73% of the area's poor live in Milwaukee proper, compared with 64% of the poor in Columbus, Ohio; 53% in Oklahoma City; or 47% in San Diego. 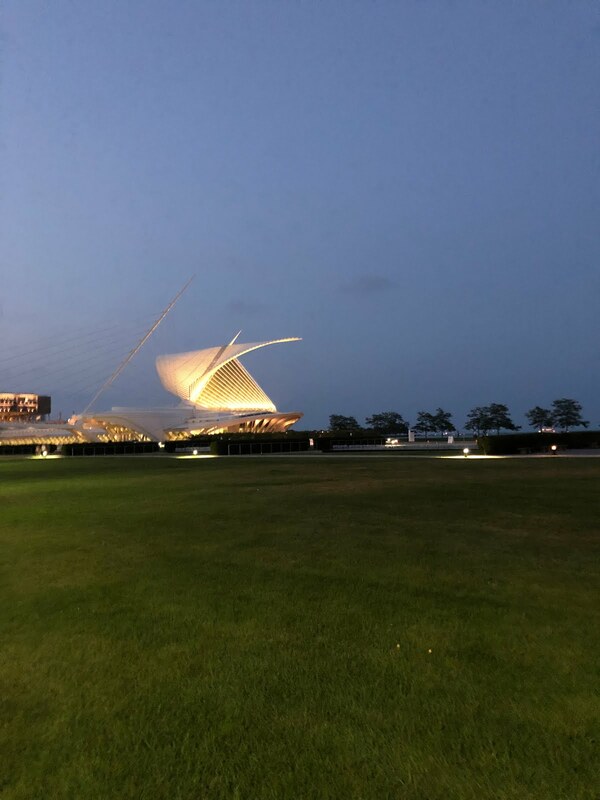 "Milwaukee stands out as a place where the poor are quite isolated," said Sean Reardon, a professor of education at Stanford University who has studied the growth of income segregation in the United States. Regrettably, the finding is nothing new. The Brookings Institution, Washington DC, and the Journal Sentinel analyzed these matters, collected in this one posting, while The Public Policy Forum looked at Southeastern Wisconsin's self-defeating struggle with race and public policy in 2002. The Journal Sentinel has a story that is both shocking and not: Of the 600 firefighters in Milwaukee County suburbs, one is African-American, and he was hired only nine months ago. Suburban chiefs, while denying racist hiring - - and let's hope that the US Justice Department Civil Rights Division goes a little deeper into the issue than that - - say they cannot remember ever having an African-American in the fire service. The story says that there are 12,000 African-Americans living in the eighteen suburban Milwaukee County communities - - you know the names: Franklin and River Hills, Greenfield and Oak Creek, and so on - - and their African-American residents make up 3.3% of those suburban communities' population. You get into the surrounding counties, and the African-American population shrinks below that paltry 3.3% percentage. Go deeper into the US Census Bureau website date, and the effects are apparent of certain public, non-market factors, like legally preventing Milwaukee in 1955 from expanding by annexation, and disconnecting job centers, like the City of New Berlin's industrial park in Waukesha County, from direct bus service. City of New Berlin: 0.4%. City of Delafield: 0.1% - - six African-American residents of 6,472. And some of you are still wondering why others of us been appalled at the ongoing, 34-year-delay by the Southeastern Wisconsin Regional Planning Commission (SEWRPC) in writing a regional housing plan that would address and give credibility to affordability and expose discriminatory housing practices. SEWRPC would be perfectly within its statutory mandate to assertively investigate the region's racial and economic segregation, but it chooses not to. In 2007, SEWRPC grudgingly created an Environmental Justice Task Force, and only last week hired an outreach manager: both are supposed to facilitate communication with low-income and minority communities. 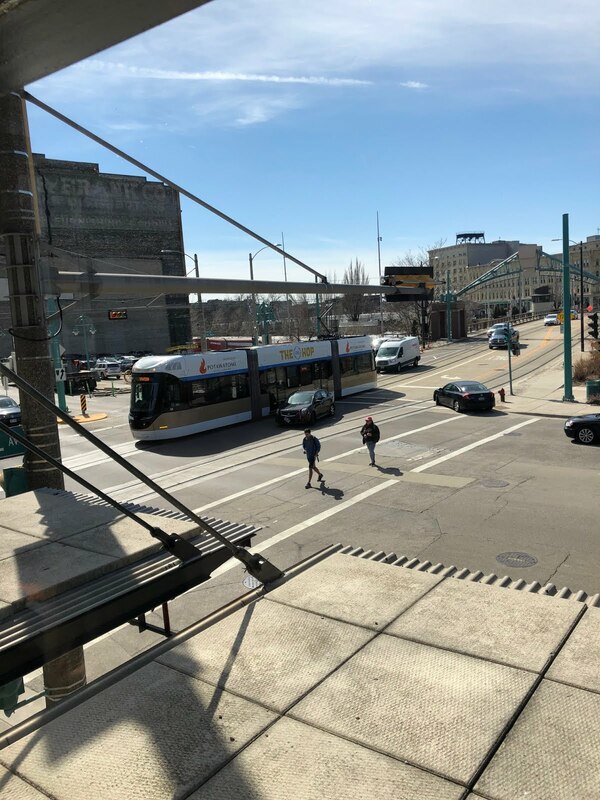 Little wonder that civil rights complaints have been filed over transportation and SEWRPC decision-making, policy planning, hiring, spending or appointing members to advisory committees that favor the suburbs with public dollars and other resources. Or that some, including myself, have urged Milwaukee to withdraw from SEWRPC so that public agendas that include minority communities can get real study and action in a new, urban-focused body. And why selling diverted Great Lakes water to growing Waukesha County communities like Waukesha and New Berlin will intensify the racial and income separation between the City of Milwaukee - - with its majority population of minority residents - - and the surrounding, sprawl-happy communities and counties? Had SEWRPC included these socio-economic issues and others in its draft regional water supply study, its pro-diversion analysis and recommendations might have been different, or at least more fully-informed and useful. Kewaunee County Wells Contaminated; Where Is The DNR? As Wisconsin environmental regulation is relaxed for ideological purposes or the convenience of business - - here, or here. for examples - - attention to good policy and best practices in the wolf hunt, frac sand or iron mining, large-scale dairies operations or additional clean water and air quality issues will fall more to concerned citizens. Results of recent private well-testing in Kewaunee County show over one in five wells are unsafe, testing positive for E Coli, Coliform, and Nitrates. The tests were conducted by a state-certified lab at the Kewaunee County Land and Water Conservation Department, and demonstrate a failure on the part of the DNR to protect the people of Kewaunee County and their water. Our job creators prefer the business climate there. Cooper Power Systems is cutting 166 jobs at its Pewaukee plant and moving the work to Mexico, the company said Monday. Waukesha Metal Products is opening a plant in Mexico. A battery-maker shifted work there last year. To reduce costs and optimize a new factory, Badger Meter Inc. plans to shift production from its main operations in Brown Deer to a new plant in Mexico. Does Walker - - at #44 in job creation natlonally - - have a plan to stem this trend? Former Wisconsin Governor and US Senator Gaylord Nelson launched Earth Day on April 22nd, 1970, but the current Governor, Scott Walker, would rather pave a wetland than save it. Walker had been office just a few days before pushing the Legislature to evade an ongoing environmental review and let a Green Bay developer fill a wetland for a destination-sized fishing supply business. Seeing the contradiction and bad publicity ahead, the developer backed out, but Walker had made his point. Since his inauguration, Walker and his campaign allies - - realtors, road-builders, fossil-fuel sellers and distributors - - have treated open space, Wisconsin's waters and the natural environment as commodities and disposables. They changed wetlands law to enable encroachment onto shorelines and into rivers and streams. They cut back spending on the Knowles-Nelson Stewardship fund for public access to woods and wetlands by 30%. They looked the other way as large dairies expand their polluting operations downstream and downwind. They reduced environmental violations and investigations. They systematically ignored climate change despite record heat and heavy rain events, and trimmed postings on the Department of Natural Resources' mini-webpage on the subject, with no updates in the last 10 months. They ignored the damage to air quality, water tables and natural beauty as frac sand mining has exploded in Western Wisconsin. And they have hauled out one of the oldest canards in the corporate playbook - - jobs vs. the environment - - to enable a massive iron ore mine dug out of the hills at the headwaters of the Bad River and almost literally on top of the Bad River Band of Ojibwe's rice-growing, water-based reservation along Lake Superior. If the administration were genuinely concerned about jobs - - and its fumble of a new, private sector-friendly state development corporation Walker chairs, along with Wisconsin's plunge in national growth rankings, indicate planning disregard and incompetence - - it would not have driven wind farm projects and their jobs off the books and out of state. And Walker would not have sacrificed thousands of rail construction jobs on the federally-financed Madison-Milwaukee Amtrak extension, or the jobs associated with the train assembly plant in a low-income Milwaukee neighborhood cancelled as a result, or the probability of more work for regional high-speed rail construction, procurement and management the feds have centralized in northern Illinois. Walker initially made and reinforced in his recall campaign a series of bad bets that his budgeted austerity, and its high-end tax cuts and the national recovery would raise his boat and political fortunes, too. Worse - - along with the national stimulus rail funding he blocked and national health-care funding he has thrown away, too - - Walker reduced middle-class, main street spending and stability through ACT 10 that guaranteed a slowed recovery and deadened growth here. And his proposed 2013-15 budget will penalize the economy and future generation with big borrowings to fund more highway building. 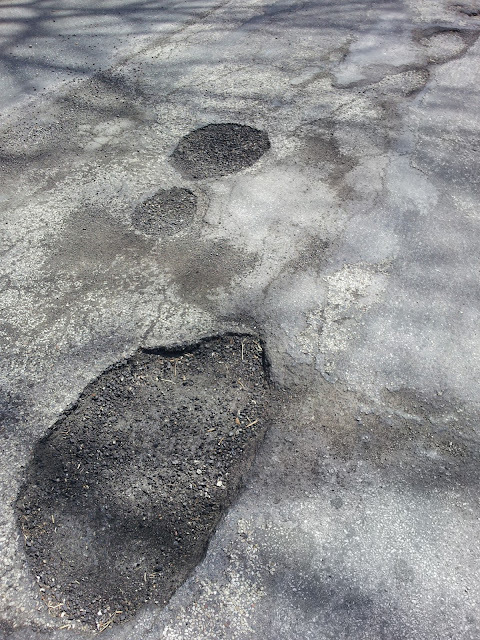 Better to spend a fraction of those billions, hire the unemployed by the thousands and fill every pothole from Ashland to Ephraim to Kenosha to Boscobel. You can't pave your way to an economic recovery or the preservation of an environment upon which the state's fresh-water based recreational and tourism industries are based. Which is why Walker won't and can't call honest attention to Earth Day this year. I'd thought "lick-spittles" would win last week's Outlandish Public Wordsmithing award, but "treasonous" when applied to the Milwaukee County Board Chairwoman takes the cake. Hear Dr. Keith Roberts, Senior Research Fellow – Institute for International Studies in Education, University of Pittsburgh. Doors Open at 6:15 p.m., program 6:30-8:00 p.m. The GOP lawmakers are also targeting for elimination plans to install color-changing decorative lights on Milwaukee's Hoan Bridge. They say money for such projects should go toward roads. As Scott Walker's 2014 re-election campaign looms, and Walker falls farther and farther behind meeting his pledge of 250,000 new jobs by the end of one term, there's a good reason you could be hearing more of the classic Tim Hardin tune "Don't make promises you can't keep." Outstanding, detailed and documented work by One Wisconsin Now discloses more than $31 million invested by the Bradley Foundation to promote the School Choice movement. Walker The 2016 GOP Front-Runner? And it cut the jobs growth under Gov. Scott Walker to 58,900, a 2.1 percent gain since he took over in January 2011. Amazing story, but the source had been on Twitter, posting there. #mitshooting Is Twitter Hashtag For Watertown, MA Crimes This A.M.
Driving distance between #Watertown and #MITShooting: 15 min. Still unknown if there is a connection. Follow @YourAnonNews & @MichaelSkolnik for live tweets of shootout in #Watertown #BostonBombing #MITShooting Stay safe, y'all. Walker Doesn't Tell People What To Do. Really?